Group of inter-denominational Christians with a burden to pray for the needs of others. Submit requests by e-mail, phone, or regular mail. Links and newsletter. Reviews and Comments for Christians United Ministries, Inc.
Electronic prayers for every occasion and opportunity to add your favorite prayer. You may also send your prayer requests and they will be forwarded to the Evangeline Prayer Group. Daily inspiration, prayer chat room, gift shop. Prayer Requests, praise reports, answered prayer, and an opportunity to be involved in this ministry. Bible teaching on what prayer is, how to pray, and different kinds of prayer, in order to lead to effective praying. 4 Sylvia and Dale in Prayer Prayer partners. Prayer partners. Requests listed by subject and e-mail prayer chain. A community dedicated to God and prayer and offers on-line prayer requests as well as other information for spiritual uplift and enlightenment. Prayer requests line where individuals can post prayer requests and receive prayer support from church members. Essay by the late Cardinal Spellman says that the publication in English of the official prayer book of the Church offers a tremendous opportunity for anyone who wishes to grow closer to God in prayer. Intercessory prayer for the state of New Jersey and the political system. Current prayer topics and upcoming events. Online prayer journal for prayer requests, praises, and answers. Entries my be public, shared with a select few or private. Prayer resources and links on world missions, the persecuted church and world news. Information on the 24/7 House of Prayer movement worldwide,'harp and bowl' and intercession. Ministry of prayer and support for Christians worldwide. Site includes prayer request submission, Christian support and fellowship, and a salvation page. Updated weekly. Threaded Bible Studies on the Lords example prayer, the prayer of faith vs. Thy will be done, praying in the Spirit, posture, persistence, and other meditations with a view to encourage Christians to pray. Presents services of Morning and Evening Prayer, Noonday Prayer, Compline, and Devotions for Individuals and Families. There is also a bookshop page, music index, prayer request page and link to seminary distance education. An article from Christianity Today on 'A Prayer Meeting that Lasted 100 Years,' a 24-hour prayer vigil kept going in the Herrnhut community for more than a hundred years. Christian counseling through prayer and assistance for churches in ministering through schools and seminars. Prayer Counseling assumes that the problems and issues presently in a persons life are usually symptoms of trauma and pain experienced at a young age and internalized negatively and seeks to guide the person in identifying, exploring reconciling and healing. Shares his testimony and accepts prayer requests. Pages specifically to offer prayer support for those in need of prayer. Explanation of the Lords Prayer by Rev. Dr. John Nordling. Two variations on a prayer for students facing an examination. Global prayer and outreach ministry. Using a persons first or last name to create a prayer name poem that has the beauty of poetry with the power of prayer. Booklet by a Filipino Opus Dei priest teaches a simple way of prayer as a conversation with God. Group of prayer partners. Requests by e-mail and intercessor partner program. Submit requests for encouragement, healing, intercession, pastoral, or any other needs. Needs, prayer chapel, and praises. Articles on prayer and exhaustive listing of current prayer requests mostly from Indian Brethren. Promotes personal prayer and prayer ministry. Offers seminars, teaching and news. Encouraging the spiritual communion between Christ and the believer through articles on prayer and links to further resources. Ministry promoting 24 hour a day prayer across the nations of the world. Prayer requests online and by e-mail exchange. If the business hours of Christians United Ministries, Inc. in may vary on holidays like Valentine’s Day, Washington’s Birthday, St. Patrick’s Day, Easter, Easter eve and Mother’s day. We display standard opening hours and price ranges in our profile site. We recommend to check out angelfire.com/al2/Pray/index.html for further information. 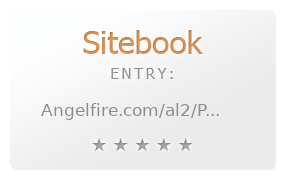 You can also search for Alternatives for angelfire.com/al2/Pray/index.html on our Review Site Sitebook.org All trademarks are the property of their respective owners. If we should delete this entry, please send us a short E-Mail.